Welcome to the Co-op -- Saxon® Homeschool! 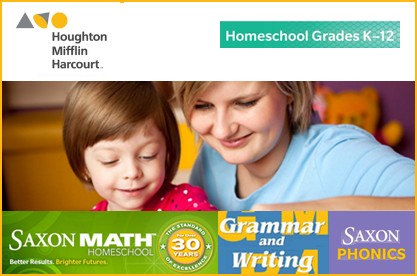 The Homeschool Buyers Co-op is pleased to offer a homeschool family favorite Saxon Math™, Grammar and Writing, and Phonics Homeschool for grades K-12. In fact, Saxon Math 5/4 through High School programs are a Cathy Duffy Top 102 Picks for Homeschool Curriculum as well as Saxon Grammar and Writing. You can read the review for Saxon Math here and for Saxon Grammar and Writing here! With Signature Co-op GroupBuy Savings! By joining this GroupBuy offer, members save 25% on Saxon Math™, Grammar and Writing, and Phonics Homeschool -- plus receive FREE shipping (to U.S. street addresses), and get 5 Bonus SmartPoints for every dollar spent on the Saxon Math & Phonics Homeschool Programs. Review the HMH Homeschool Catalog pages for Saxon Homeschool Programs. Read Cathy Duffy's reviews on Saxon Math K-3 and Saxon Math Middle to High School, a Cathy Duffy 102 Top Picks! 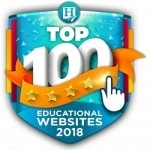 Additional Saxon Homeschool resources can be found here, including placement tests, lesson plans, textbook corrections, and more! Shipping: Shipping is by Ground, and packages will arrive approximately 10-14 business days after you place your order. Shipping is FREE to U.S. street addresses. U.S. Addresses Only: We're sorry! We can only take orders for U.S. street addresses and not P.O. boxes or APO/FPO addresses. We are not able to ship internationally. When you are ready to buy any of the Saxon Math™, Grammar and Writing, and Phonics Homeschool programs, select the big, blue button below.